Hi everyone, I'm really excited to announce our next live-blog experience as we get ready for a cruise aboard Anthem of the Seas for a 2-night preview cruise. It is my hope to provide to you a daily look at what this cruise is like and share my experiences with each of you. This means I will try to post photos every day along with a written report of how things are going (internet permitting). If you're new to our live blogs, check out the live blogs I have posted recently for Freedom of the Seas, Quantum of the Seas and Navigator of the Seas for an idea of what's in store for you. I'm hoping to give our readers a daily look into what we did that day, what was good/not good and what we have planned for the next day. 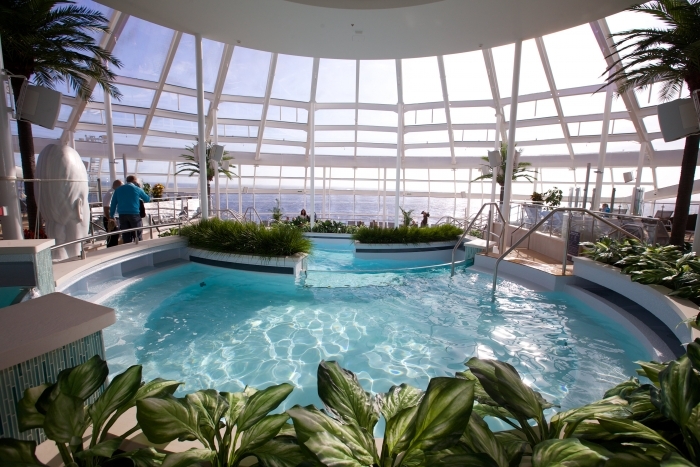 For this cruise, it's a 2-night preview of Anthem of the Seas. Royal Caribbean has invited me to sample what this new ship has to offer right before she embarks on her inaugural voyages. It's an exciting opportunity to see this new ship in action as well as get access to a number of people in Royal Caribbean who are responsible for making Anthem of the Seas a reality. 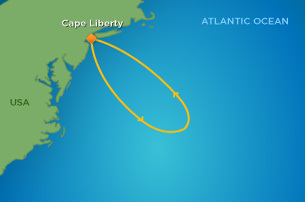 This cruise will depart from Cape Liberty in Bayonne, New Jersey on Friday, November 8th. Living in Connecticut, I will be driving to the port bright and early that morning. I'm sure my excitement will not permit me much sleep the night before but I'll need to get every minute of sleep I can that night because the following 48 hours will be a whirlwind. I have certainly been tracking the progress of Anthem of the Seas since the day she was first announced, so this will be an exiting opportunity to see her up-close and personal. Going on this cruise will be great for the blog because it will provide ample subject matter to provide reviews on later. Restaurants, onboard activities and shows are just the beginning of what Anthem of the Seas offers. The cruise has no stops, so it will be a 2-night cruise to no where, but there will be so much going on onboard the ship that I'm not sure I will even notice. I've been quietly jotting down ideas for all the aspects of this brand new ship I want to explore and experience myself. Deep down I know I cannot come close to experiencing it all in 2 nights but that doesn't mean I wont be trying! There is a lot going on, and already I know of a few events I will be taking part in, including a bridge tour, galley tour, Puzzle Break session and even a cocktail making session. Of course, I will spend plenty of time sampling the food onboard. We are booked in Dynamic Dining Classic, with dinners at Chic and American Icon Grill. I fully intend to hit up a few other restaurants, where possible. For this cruise, we are leaving the kids with my folks, so my wife/production assistant and I will be enjoying the cruise together. Because of the busy nature of this kind of a cruise, leaving the kids at home is for the best. Of course, I hope you will be joining for me on this cruise virtually. If you have any questions for me while I’m onboard, comment in the post below, email or twitter me, and I’ll do my best to answer. I've already used the online check-in and reserved a time at 12:30pm - 1:00pm to arrive. I'm still planning on arriving closer to 10am because I'm quite excited but it will be fun to see how this all works out. In addition to the daily live blogs, I will also be trying out a brand new truly live blog that allows instant updates to the web site, at http://www.anthemoftheseas.live. There, you can leave the page up and it will automatically update with new updates and photos that I post, so you can see exactly what I am up to all the time. I hope it proves to be another fun way to (virtually) join me for a cruise. Next update should be when I arrive in Bayonne on Friday, November 6 in the morning. Stay tuned for all of the live blog updates right here and on Periscope by following @therclblog and on Twitter by following @theRCLblog. Have a question about Anthem of the Seas? Want Matt to cover something specifically in the live blog series? Tell us in the comments!